Summary: As the Syrian crisis enters its fourth year, the situation continues to become more difficult for refugees, host communities, and donors. Among Syrian refugees, youth are one of the most critically affected groups. As the Syrian crisis enters its fourth year, the situation continues to become more difficult for refugees, host communities, and donors. Among Syrian refugees, youth are one of the most critically affected groups. With low prospects for education and high risks of exploitation in the job market, they are most vulnerable for recruitment by extremists. And the same can be said for youth in host communities, who are also suffering economic fallout from the refugee influx. 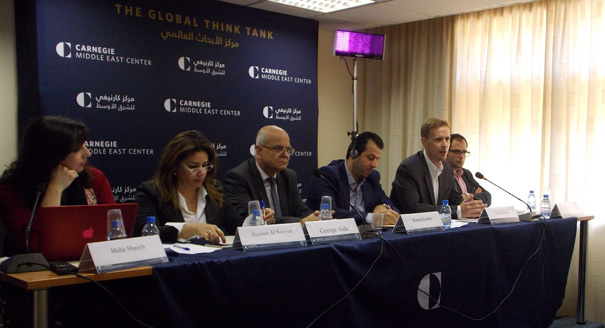 The Carnegie Middle East Center, in partnership with the Danish Institute in Damascus and the Center for Lebanese Studies, held a day-long conference to discuss the challenges facing Syrian and Lebanese youth as a result of the Syrian crisis. 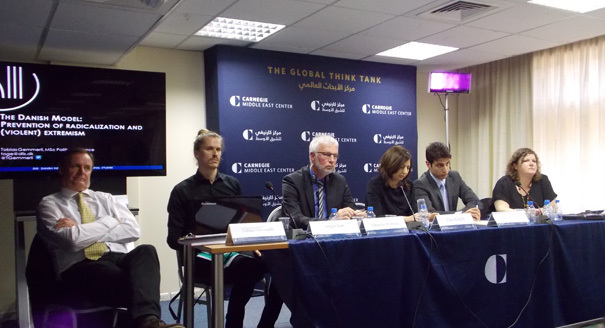 The conference identified potential solutions that could stem the marginalization of the Syrian and Lebanese youth and their consequent radicalization. It also assessed the current coordination of crisis response efforts among the public and private sectors, NGOs, and donors. After four years of work, stakeholders are now approaching the “stabilization” phase of the Syrian crisis. Youth radicalization has become a global concern, as scores of young Europeans flock from the continent to join the ranks of extremist groups like the Islamic State. The Battle Against the Islamic State: Where Do We Go From Here?